We help accountants to improve their efficiency, reduce their printing costs and maximise their output capabilities. 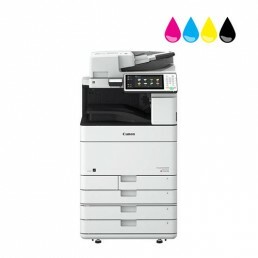 Benefit from our Canon or Develop ranges by utilising the many features available through these stunning machines. We provide you with free training, installations and integration into your current office set up to ensure that you can continue where you left off without any hassle. We provide free repairs and free toner under all of our service contracts with low cost per print pricing available to all new customers and existing. 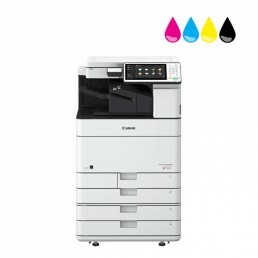 Print fast black and white documents throughout your office including financial statements, company financial documents, administrative documents, invoices and much more. High quality copying allowing you to make detailed duplicates of any office document or image in seconds. High copying speeds also help to improve your productivity across the board making way for time saving and efficiency. Print high quality colour images and documents from invoices, financial graphs and models, financial reports and much more. Scan any document in high quality colour or in black and white. Scan customer invoices, financial statements, internal documents and sensitive documents securely without the need to worry for their safety. Scan and send to your email, a colleagues or even a customer to maximise efficiency without the need to return to your PC or laptop. Multiple finishing options available to create brochures, booklets, reports, financial statements and much more. Contact us for more information regarding how we can help you. Capitalise on mobile printing capabilities to help improve productivity, keep your data secure with a variety of security options available on all of our machines. Rest assure with our reliable, affordable, high quality office products! Print on the go, from anywhere in your office. Low power consumption meaning low running costs. Free repairs and servicing with contract. Built in systems, keeping your data safe and secure.